A Brooklyn bar is raising its weekend drinking age to 25 in an attempt to keep the atmosphere less rowdy -- and to keep neighbors' complaints at bay. DNAinfo New York reports that Phil's Crummy Corner, located at the corner of Hamilton and Columbia, plans to stop serving the 24-and-under set after 10 p.m. on weekends, responding to neighbor's complaints that the tavern is "like animal town" on Friday and Saturday nights. Can a bar or restaurant legally refuse to serve alcohol to adults under 25? The Corner's restaurant manager, Isabel Santiago, remarked that the bar is trying harder to create a "quiet family place" in the neighborhood, and the age limit may do the trick, reports DNAinfo. Business owners are generally allowed to exclude minors from their bars or restaurants, especially if alcohol is served within. Although public accommodation laws prohibit private businesses from discriminating against customers on the basis of race, religion, gender, sexual orientation, or disability, they generally don't restrict policies based on age. The New York City Human Rights Law, however, does prevent discrimination based on age, and those younguns refused to be served by Phil's Crummy Corner could potentially file a complaint for discrimination. Then again, the City might support business owners who raise the drinking age, as NYC lawmakers recently raised the cigarette-buying age to 21. Like most private businesses, Phil's Crummy Corner can legally reserve the right to refuse service to just about anyone, even if they're not dressed properly. 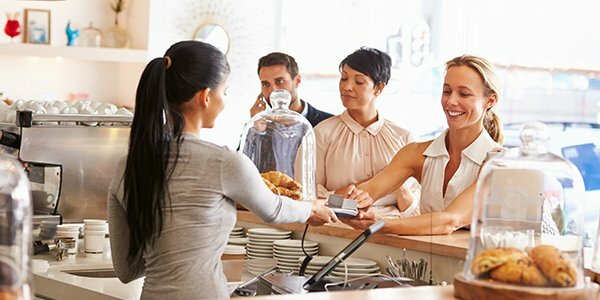 Business owners can generally refuse customers for any non-discriminatory reason and can also bend their own rules to allow in customers they like or trust. DNAInfo reports that Phil's Crummy Corner will make exceptions for patrons younger than 25 who "are well known to the owner," and there is nothing illegal about playing favorites -- so long as they don't serve anyone below the age of 21, that is. The key for bar and restaurant owners is to not give the appearance of illegal discrimination based on preferential treatment or stated policy. Instead of a drinking age bump, businesses could instead offer discounts to older patrons -- similar to "ladies night" discounts -- in order to attract older, less excitable clientele. Still curious about your business' age policy? Consult with an experienced business attorney to sort out your doubts.